In 1968, a group of 31 highly trained North Korean special forces commandos culled from the country’s most elite and secretive unit, Unit 124, crossed the Korean DMZ with a singular mission- kill the South Korean leader, Park Chung Hee. The unit supposedly trained for 2 years prior to the mission, with their initial selection being conducted soon after what is commonly referred to as “The Second Korean War”, a series of small skirmishes that took place along the Korean DMZ between 1966 and 1969. According to the only member of the 31 soldiers to be captured alive by South Korea, Kim Shin-jo, the training they underwent prior to their ill-fated mission made them “fearless” and involved running in subzero temperatures (resulting in several men losing toes to frostbite) and digging up graves to hide beneath the bones because, to quote Shin-jo, “no one would think to look for us in a graveyard“. The men were also trained in practically everything that could possibly be useful in a behind enemy lines raid including knife fighting, amphibious infiltration and a method of committing suicide in the event of capture that involved biting off your own tongue and swallowing it. Since the commando’s only goal was to assassinate Park Chung Hee and cut off his head, the men spent their last 15 days prior to the mission training in a full scale mock-up of his Presidential Palace, better known as the Blue House. Once they were comfortable with the building’s layout, on January 21, 1968, the 31 men snuck across the DMZ through an American base and headed into South Korea via the Imjin River before making their way to Seoul using mountains for cover. Along the way the commandos encountered four brothers collecting wood; rather than killing them, they instead lectured them on the benefits of living in North Korea and the virtues of communism. The commandos then let them go after making them promise not to go to the police. After being released, the brothers immediately went to the police who set up guard positions at potential targets of attack and began conducing a massive search of Seoul and the surrounding area, all of which the unit managed to deftly evade. In fact, the commandos managed to come just a few hundred metres shy of the Presidential Palace while wearing stolen South Korean uniforms before a suspicious police officer drew his gun on them. This act cost the policeman his life and a huge fire fight ensued. After being rumbled, the commandos dispersed and attempted to make their way back to the DMZ. However, only a single commando managed to escape the combined search efforts of the police and military and is presumed to have made it back to North Korea. As for the remaining 30, 28 were killed during their flight and two were captured. One of the captured commandos committed suicide before he could be interrogated. The final commando was the aforementioned Kim Shin-jo who was subsequently arrested and interrogated for a year before being granted South Korean citizenship. This was a controversial move as Shin-jo had infamously declared on national TV that he came to South Korea to “cut Park Chung-hee’s throat” a few days after being captured during a press interview. Further, the raid had resulted in 26 South Koreans killed and 66 people wounded, including some civilians. Nevertheless, during his interrogation in which many of the myths Kim had been taught about South Korea were dispelled, Kim stated the officer in charge of his interrogation told him, “I was a young soldier too once. As a commander, I will never kill you. But I will forgive you.” And forgiveness was exactly what he got in the end, allowed to go free. Unfortunately, after accepting South Korean citizenship, Kim Shin-jo, who became a pastor, later revealed that his entire family was publicly executed in North Korea as a result of his betrayal of his former country. In any event, in retaliation for this daring attempt on his life, South Korean President Park Chung Hee gave permission to his military brass to assemble a crack squad of soldiers with the sole mission of travelling to Pyongyang and killing Kim Il Sung. Like their North Korean counterparts, this force consisted of 31 men who were hand picked by military officers. However, unlike their North Korean counterparts, these men weren’t special forces commandos or soldiers with an axe to grind. Dubbed “Unit 684”, reportedly referring to the date the unit was formed April (4) of ’68, this ragtag group of soldiers mostly consisted of petty criminals and unemployed, disenfranchised youths who were promised money, glory and jobs if they succeeded in their mission of assassinating the North Korean Premier. Following their recruitment, the men were taken to the uninhabited island of Silmido for training. What exactly this consisted of isn’t known due to records of the unit’s activity’s being “lost” in the years following its eventful disbandment. What is known is that seven of the recruits died during their training. This brings us to 1971. There was a brief moment when North and South Korea began to patch things up. As a result, President Park Chung Hee didn’t think he needed Unit 684 anymore. However, when the unit was disbanded, the remaining members, believing that they were either going to be killed or left to rot on the island indefinitely, staged a revolt and killed all but a handful of their guards before making their way towards the mainland. 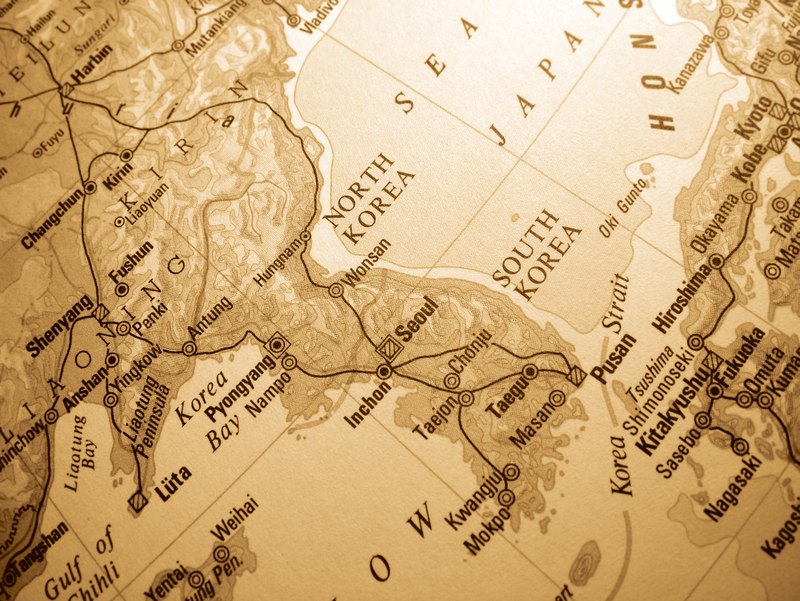 Once ashore, the men hijacked a bus and tried to make their way to Seoul, but were stopped by a military roadblock. Sensing no other way out, some of the men opted to commit suicide using hand grenades while others tried to fight their way to freedom. After the smoke settled, only four members of the team were left, all of whom were tried and summarily executed by the military. This strange and bloody chapter in South Korean history was quietly covered up by the government who refused to officially acknowledge the existence of Unit 684 until 2006, when they paid compensation to the families of 21 of the unit’s men. A film based on Unit 684 called Silmido (after the island on which they trained) released in South Korea in 2003 is believed to be one of the key factors in getting the government to finally admit to the Unit’s existence. When asked about why his men chose not to kill the woodsmen who eventually spoke to the police which resulted in their assassination plot being foiled, Shin-jo explained to interviewers in 2010 that none of his men wanted to dig through the frozen January ground to make graves for the woodsmen in order to conceal their bodies. What would Jesus do to North Korea?